Our goal is to connect people with the best local experts. We scored wedding photographers on more than 25 variables across five categories, and analysed the results to give you a hand-picked list of the best wedding photographers in Centennial, CO. Except for love for each other, Andie and Angie Wood have also shared a love for photography, which culminated with the creation of A&A Studio over a decade ago, to serve wedding couples in Denver. Except for Colorado, the husband & wife team have traveled through the whole U.S. and beyond, photographing weddings wherever their service was needed. Their high-quality work has certainly been recognized, as they were named Denver’s Best Photographers in 2008 and the Top 350 Wedding Photographers in the World. Together Andy & Angie have over 50 awards of excellence, and many years of teaching photography. Over the last few years, they have been speakers at the largest photography convention in Las Vegas. Weddings are their primary, but they also do children’s and family portraits, corporate and high school senior photography. A Fine Photographer is a lifestyle photographer operating out of the Denver area. Owner Julie Kemerling specializes in weddings and portraits and is also willing to provide her services for her customers' destination weddings and has contributed photographs to publications and organizations such as Life in Lone Tree, Vista Ridge Neighbors, The Morgan Adams Foundation, Now I Lay Me Down to Sleep, and more. A Fine Photographer was also the Denver AList Top Five Winner for 2017. She offers portraits for families, high school seniors, corporate events, and pets. In providing her photographs, she is fond of collaborating with her clients to create their special memories together. Autumn Cutaia Photography, based in Colorado, specializes in outdoor photo sessions of weddings and engagements. Autumn travels to weddings anywhere in the state of Colorado without a travel fee. For weddings outside of Colorado, travel fees apply. Autumn's pictures show a love of Colorado's outdoor scenery and an appreciation for the small details of weddings. A session lasts about eight hours, starting before guests arrive at the wedding. Each couple gets at least 400 images, available both as prints and as an online gallery. Autumn takes on a limited number of clients each season to give each wedding her full attention. B Lauren Photography, located in the Denver Tech Center, is dedicated to providing high-quality services and satisfying different photography needs. Being a loving mother herself, lead photographer Beth is highly praised by her clients for her patience and ability to work with babies and children. Her personable and fun approach predisposes people to relax in front of the camera and reveal their true personalities for her to capture. B Lauren Photography offers a wide range of services, including wedding, newborn, maternity, couples and family, as well as different packages. Beth is happy to customize sessions to clients' specific tastes and budgets. She also offers help with choosing a scenic location that can further enhance the images' beauty. Dylan Burr is a photographer and videographer located in Centennial, Colorado who specializes in bridal portraits, engagement photos, and wedding photos. Dylan uses various photographic styles, including artistic, classic, dramatic, modern, and vintage, to provide wedding packages that meet the specific needs and budgets of his clients. With a preference to shoot outdoors in the mountains, Dylan strives to capture his clients’ special day in the most intimate way possible, being sure not to miss any detail. Dylan is a four-time Wedding Wire Award winner for 2014, 2015, 2016, and 2017, and his clients praise him for his promptness, professionalism, and flexibility. Infinite Pixels by Angel Photography specializes in wedding photography in Lone Tree and the surrounding area. Aside from its specialty, the studio is known for photographing engagements and high school portraits. Infinite Pixels' owners are a husband-and-wife team living in Lone Tree. While most jobs center in their community, the pair is open to travel as well. Several publications in the wedding planning niche have featured their work, including Bridal Guide, Style to the Aisle, and The Knot. To schedule a date or review pricing information, customers should visit the Infinite Pixels website where there is an extensive FAQ that covers most customer questions. Joel Tyson Photography is located in Denver, Colorado, and Joel Tyson’s passion for photography led him to open his business in 2012. 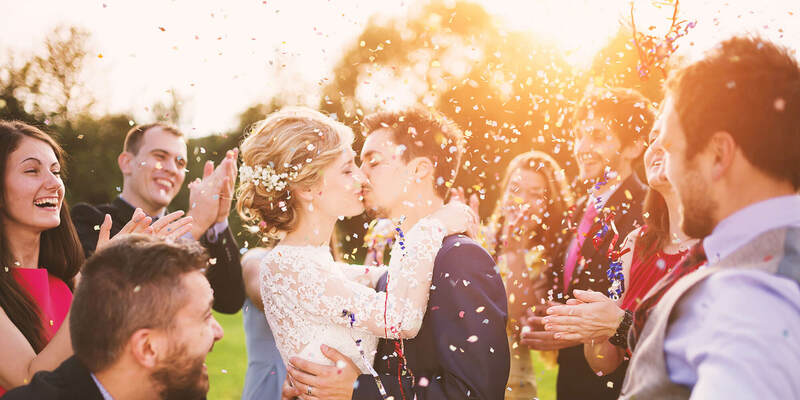 The photographer’s priority is capturing personal and intimate moments, such as a bride and groom’s kiss, their first dance, and the happy faces of their family and friends. However, Joel Tyson is not limited to weddings; he also photographs for seniors who are graduating and real estate for clients selling their home. Customizable packages are offered for each service, and Joel Tyson works with clients directly to ensure unique photographs for each session. Clients describe Joel Tyson as professional, kind, and talented, and appreciate his flexibility. Little Red Photography Studio is a photography studio located in Denver, CO. The company’s photographer, Amanda, earned a bachelor’s degree in professional photography from the Brooks Institute. She shoots a mix of natural and modern photos both in-studio and on-location. She offers a variety of photography packages, including portraits, babies, children, family, maternity, boudoir, fine art, weddings, events, and animal portraits. Wedding packages include up to 12 hours of continuous coverage, up to two photographers, an engagement session, and a photo album. Portrait sessions include a photography session lasting up to two hours, on complementary print or canvas, and a print credit. All packages include a collection of high-resolution digital images with a print release. Milestone Imaging is a wedding photography service company owned by Tom and Lucy Miles. A husband and wife team, they work together to capture the best moments of couples on their very special day. They are proud to be passionate wedding photographers who have successfully photographed and covered many various events. With their professional cameras, they can cover different events including engagement sessions, weddings, elopement, and much more. Their love for photography has taken them to many different places. Photographer of Life, LLC is located in Greenwood Village, Colorado with Anne Barhyte as the company's photographer. This company specializes in fine art photography as well as portraiture photography. It offers boudoir photography, cosplay photography, creative portraiture photography, event photography, family photography, maternity photography, etc. This company also conducts kids’ photography, high school senior photography, portraiture photography, wedding and engagement photography, headshot photography, and pet portraiture. In addition, it caters the “Life Events” such as the local wedding photography, destination worldwide weddings, corporate event photography, parties, and charity networking. Photographer of Life, LLC's awards include the Cold Hearted- Honorable Mention, Visions of Light 2012, Cold Hearted- Sponsors Choice, Visions of Light 2012, Escape- Sponsors Choice, Visions of Light 2012, plus more. Sarah Perez Photography, based in Denver, Colorado, has been dedicated to providing high-quality services for more than a decade. Owner and lead photographer teams up with her husband both in life and on set. She employs a candid, honest approach that makes for a different angle compared to standard post shots. She graduated with an Honors degree in Photography from the University of Denver. Sarah Perez Photography offers a wide range of photography services, including wedding, engagement and couples, families, maternity, newborn, babies and kids, senior portraits, headshots and fine art boudoir. Sarah's work has been featured in various magazines, including mywedding Magazine, The Knot, Destination Wedding & Honeymoon Magazine, COUTUREcolorado wedding and more. She is willing to travel worldwide. Stormy Solis Photography, located in Centennial, Colorado, is dedicated to delivering high-quality and unique services for various photography needs. Lead photographer enjoys an outstanding reputation among many satisfied clients. Her patient and loving manner goes a long way with babies and toddlers. Her personable attitude is highly praised by her customers and at the core of her ability to reflect their personalities and capture the essence of intimate moments. The business offers a wide range of services, including family, babies, children, couples, maternity, as well as various workshops and mentorship for other photographers. Stormy Solis Photography helps clients choose suitable and scenic locations that further compliment the images' uniqueness and beauty. Swinson Studios, located in Denver, Colorado, is dedicated to delivering high-quality services that help people commemorate their precious time with their kids. Consisting of a husband and wife who are also parents, the team has a true passion capturing other families' love and happiness. The skilled photographers guide clients throughout the whole process, creating a fun and unique environment that predisposes clients to feel at ease and reveal their true personalities. They specialize in baby, newborn and pregnancy photography, child and family portraits, and also carry out wedding, senior and mountain portraits. Swinson Studios' work has been featured in various publications. The couple offers photographic workshops and is willing to travel internationally.